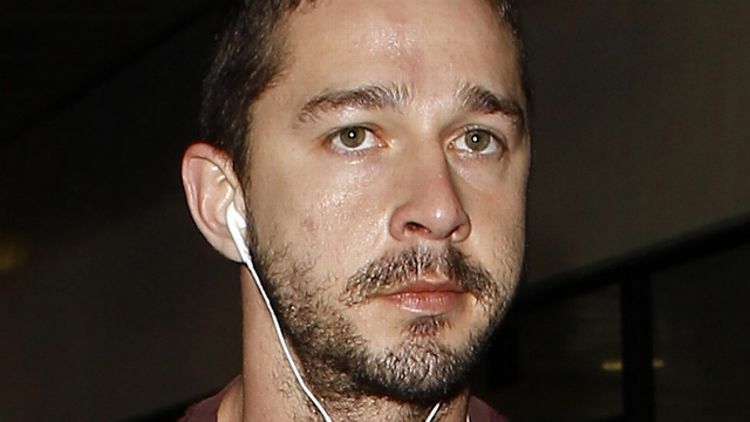 » Shia LaBeouf Retires From Public Life, Maybe. Who Knows With This Dude? Shia LaBeouf Retires From Public Life, Maybe. Who Knows With This Dude? Shia LaBeouf is retiring from being public. And even though “in light of the recent attacks” was a phrase recently referenced regarding the bombings in Russia and “all public life” is a phrase once said in a translation of Mein Kampf, I think this is actually Shia, speaking on behalf of Shia, with the words and thoughts of Shia and only Shia. For his sake, at least it appears he’s going out semi-honorably. But with this retirement, who knows what we’ll cover over here at the Hollywood Prospectus blog? (Never forget January 2, two Shia posts in one day.) But it’s probably better for all parties. In case you’ve been fortunate enough to miss it, LaBeouf has been on somewhat of a tear of late, attempting to ruin his entire career by MLK Day. He’s lifted sizable portions from other works, and then when apologizing, lifted his apology text from such revered places as Yahoo Answers. He further embarrassed himself by apologizing via airplane skywriter, and then decided to defend all his plagiarism/performance art/reappropriation of plagiarism/skywriting via email conversation with Bleeding Cool’s Richard Johnston. But, through all these attempts to gain forgiveness, the anti-Shia backlash proved to be too strong. Integrity, it seems, still has a place in this culture. And at the bottom of that barrel: Mr. LaBeouf. So he’s done. Retiring from public life. And even though “My Love” is a very popular Justin Timberlake song and “to those who have supported me” is a line used by Zed Seselja in his 2013 speech in the Australian Senate, again, I think it’s purely coincidental. I think it’s actually Shia as Shia. Profound. What a way to go out. It’s like watching the entirety of Fade to Black in just three tweets. Young Shia, The God MC, has officially left the building. What a run it was. But for everyone’s sake, it’s finally over. And now that he’s officially retired from public life forever, here are some montages to hold you over until he starts shopping around the script for his new thriller, Keep Those Receipts, which by Labor Day will prove to have 85 percent of the same dialogue as The Bone Collector.